View More In Deck Hardware. 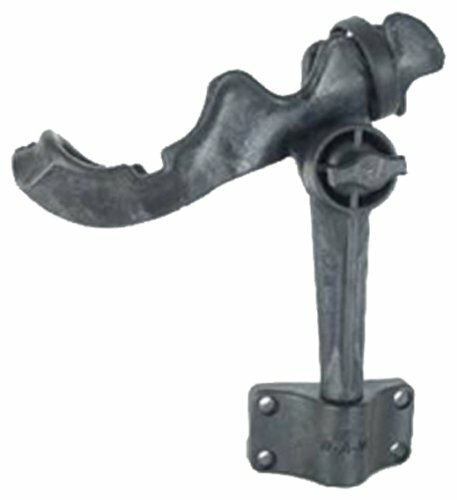 Rod Holder with Bulk Head Mount Base. Features RAM Rod 2000s over center bail latch is more reliable and faster than any other type of securing device. Extra heavy duty teeth provide many possible angles for rod tip. The tooth configuration is compatible with Scotty Fishing Rod Holder Systems. Faster, Stronger, Better, Lifetime Warranty. Fits both level wind and spinning reels Constructed of high strength US Made glass reinforced nylon.